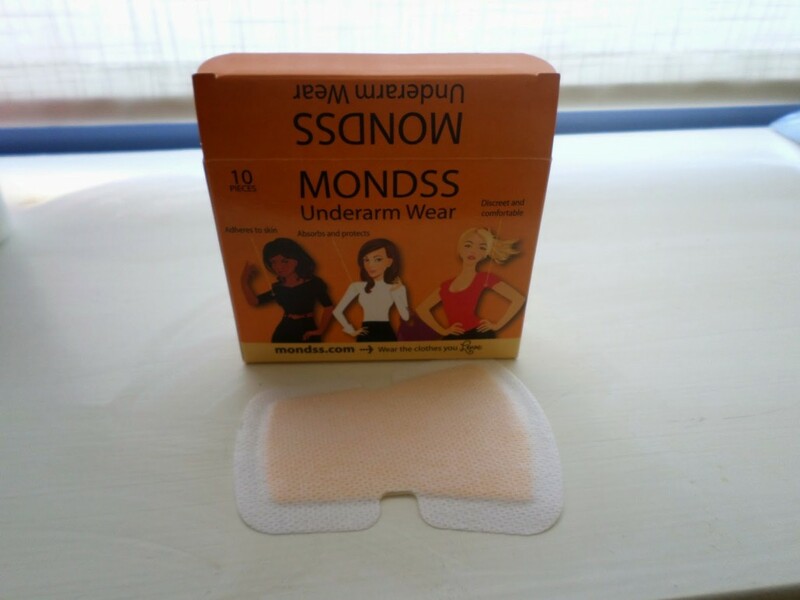 I’ve been hearing a lot about the recent launch of MONDSS Underarm Wear so was delighted to receive a sample in a goodie bag from a recent blogger event. After reading up a little I found they’re best used for 4-6 hours max so I wondered when I would use them. As much as I try to hide it I am a pretty sweaty person and I don’t wear certain colours because of the fact I know I’ll have perspiration marks in no time at all. I was very excited to try these out and was hoping they wouldn’t let me down. Having used the whole packet up (10 pads/5 wears) now I feel I can give a good description. While they certainly look a little strange like a large plaster they are definitely discreet. When I put the first set on I thought they might’ve been too small but they’re a good fit. I had a few job interviews recently and important meetings in my current job so these were put to a serious test. This was also during our Indian summer so there was no escaping if they didn’t work. Once you put them on they feel a little strange but it doesn’t take long for them to seem invisible unless you’re stretching. I even put these to the grey test and there wasn’t one drop of perspiration anywhere to be seen even though I knew myself I was perspiring. And there was definitely no smell, even on the days where I wore them with antiperspirant as I wanted to be covered, although there was a residue from the antiperspirant that’s all there was! Taking them off was my only problem with these, in the instructions it says to apply baby oil to the area to help loosen them or take them off in the shower. Failing both of these as I don’t keep baby oil around the house and a shower wasn’t on offer on one of the test days as I had to remove them in a public cubicle with nothing but makeup wipes. It was a little painful but if you’re patient they come off with no resistance, just don’t pull because you’re also pulling your own skin! Hence the pain. I think these are a fantastic idea, and I’m sure to pick them up again for important meetings, I’ll be buying a bottle of baby oil to help with removal though. I wish Jane and MONDSS all the best as it is a great Irish product. A full size pack of 10 (5 wears) retails at €9.99 from their online shop. Would you be interested in trying something like these to avoid perspiration marks?